If these handsome features are what you’ve been looking for in luxury homes, continue reading to learn more about one of our newest communities that’s sure to please and exceed your expectations: Loudoun Oaks. While CarrHomes is proud of the communities we’ve helped develop and homes we’ve crafted, we equally pride ourselves in pushing forward and forging new communities. As Greater Washington expands, so too expands CarrHomes’ imprint. One of our newest communities exemplifies the exquisite care and features that have gone into every CarrHomes design while embracing modern style and functionality. 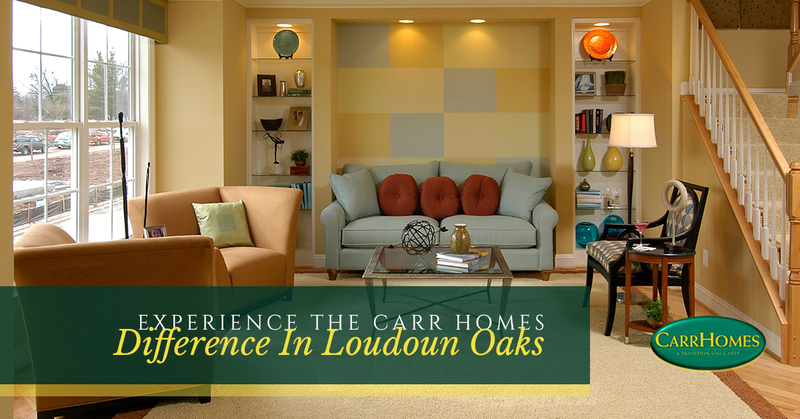 Simply, Loudoun Oaks embodies the CarrHomes difference. Each luxury home constructed is nestled but an hour from the bustle of D.C., yet close to an impressive array of dining, shopping, schools, hospitals, and community activities, making your new luxury home the perfect place to escape, relax, and enjoy time with your family. Still unconvinced that Loudoun Oaks is the perfect place for you and your family? Continue reading to learn more about why properties in our Loudoun Oaks community are some of the most elegant luxury and new homes for sale in Greater Washington. We’re proud to offer potential homeowners the quality, comfort, and distinguishing taste of CarrHomes in the idyllic Purcellville community. Are you ready to join a community that was built on crafting some of the most luxurious homes in greater Washington? Reach out to CarrHomes today to learn more about our unique, new homes for sale in our Loudoun Oaks community.